Slipping down the leg side against a tail-ender, it was maybe clear why Cook opens the batting not the bowling. Alastair Cook has scored 12,254 runs in 160 Tests, completing 32 centuries for England in that time, but he’s only ever taken one Test wicket. It came as the former England captain, who will play his final Test against India later this week before retiring, took the ball in hand against Mahendra Singh Dhoni’s side at Trent Bridge in 2014. 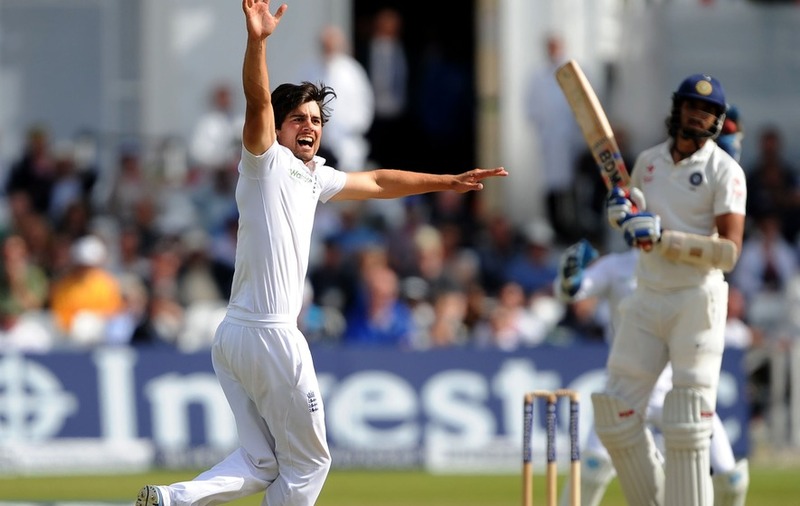 With the tourists 387-8 in their second innings and a draw inevitable, Cook trundled in to Ishant Sharma and sent a sluggish ball down the leg side. Glenn McGrath it wasn’t, but somehow it had the desired effect. The wicket came in the final over of the match, with tail-ender Ishant caught behind. It’s fair to say it will go down as one of the more meaningless wickets in Test history in terms of the match situation. Unless current skipper Joe Root allows Cook a ceremonial bowl against India in the final Test of the series – perhaps to have another go at Ishant – it’s likely the 33-year-old will bow out with bowling figures of one wicket for seven runs off 18 balls. That would mean he retires with a better average than England’s all-time leading wicket taker, James Anderson. Not bad at all, Chef. Not bad at all.